Beautiful clear blue flowers with deep blue midribs to the petals. Ovate mid green leaves. Will climb to 4m given the right conditions. Tie into wires in a bright conservatory or grow up an obelisk.. Dark purple flowers are produced on long stalks above scallop shaped velvety blue-green leaves. Height and spread to around 25cm x 30cm. Well drained soil in sun. Keep frost free. ..
Bushy habit with clusters of deepest purple, almost black flowers margined dark red. Height and spread to around 60cm. Fertile, well drained soil in sun or part shade. Keep frost free. ..
Hardy in sheltered sites, herbaceous in hard winters. Enormous slightly felted palmate leaves up to 90cm wide. Shy to flower but when it does it has white flower heads in late summer/autumn. 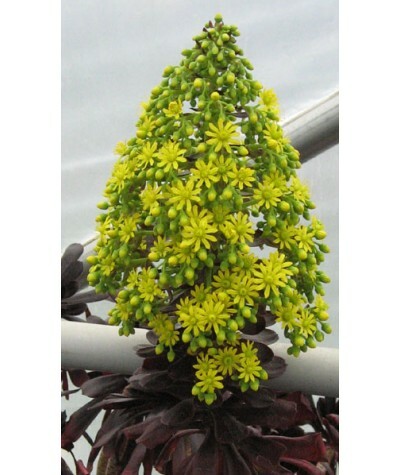 Shade ..
Gorgeous evergreen succulent with tight rosettes of shiny purple leaves with lime green centres and large yellow flower trusses in late summer. Can be shy to flower. Keep in good light above 5c. 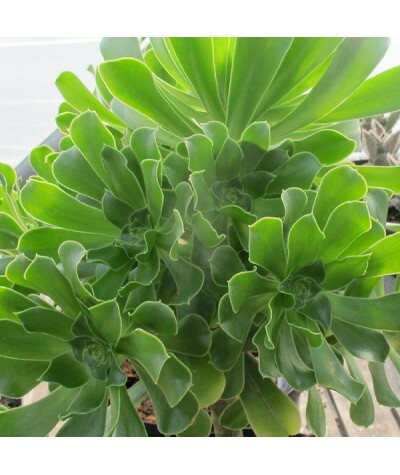 Fe..
Succulent with bright yellow flowers and spoon shaped fleshy green leaves. 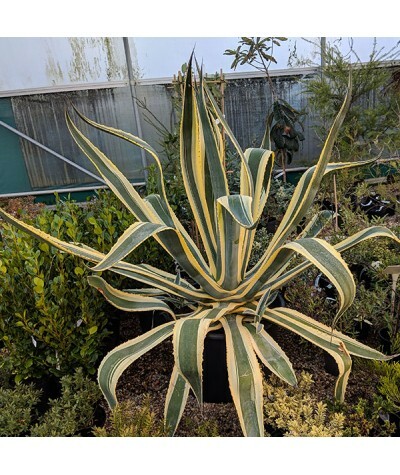 Makes a beautiful specimen for a pot. Keep frost free. Height and spread up to 1.5m x 1.2m. 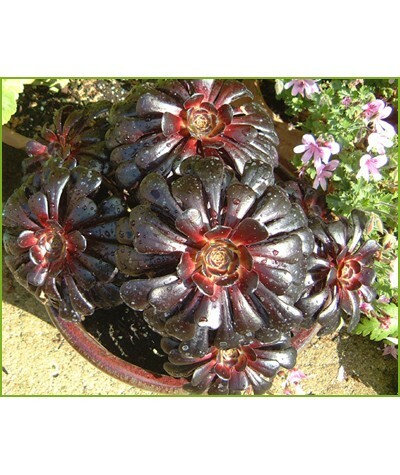 ..
Gorgeous evergreen succulent with tight rosettes of shiny deep purple leaves with lime green centres and large yellow flower trusses in late summer. Can be shy to flower. 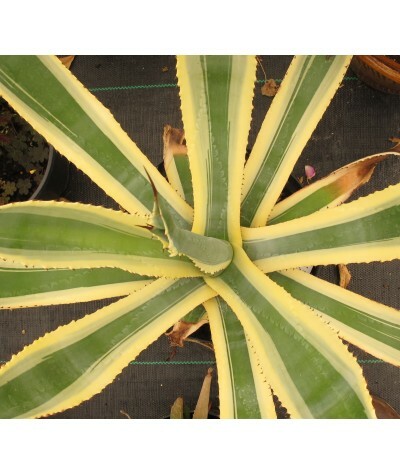 Keep in good light above 5..
Makes a beautiful specimen for a pot in a conservatory or for a patio in the summer. 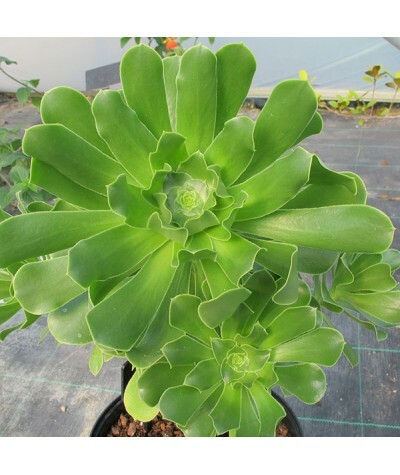 Compact and dwarf form of the Aeonium arboreum with spoon shaped fleshy green leaves that appear yellow darkenin..
Gorgeous evergreen succulent with tight rosettes of shiny purple leaves with lime green centres and large yellow flower trusses in summer. Rosettes reach upto 30cm across. Can be shy to flower. 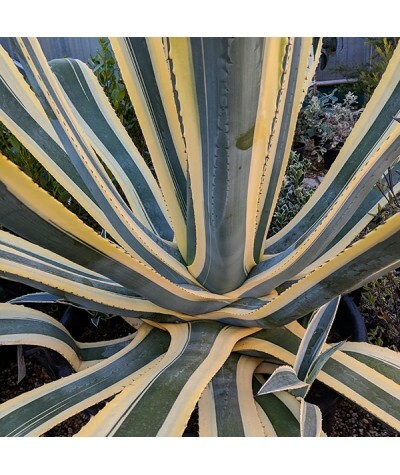 Kee..
An unusual form of Agave with eyecatching rosettes of spikey edges fleshy yet leathery leaves that are glaucous green with a broad cream central stripe. Best in a conservatory in sandy soil. 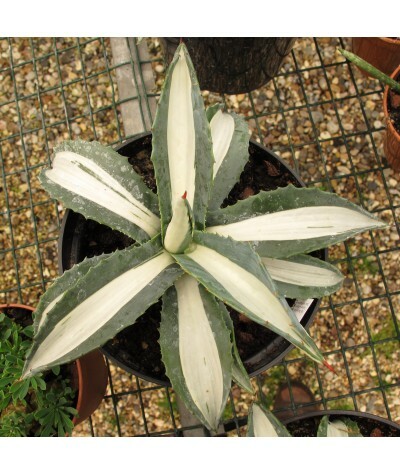 Feed w..
A statement plant for a large conservatory or a very well drained, sheltered, sunny spot outdoors. Rosettes of glaucous, yellow edged, large broad leaves that are sharply toothed with needle like e..